Search across multiple library databases to find books, articles and more. 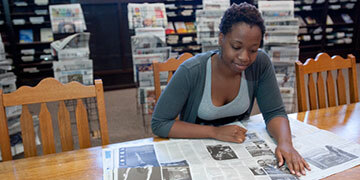 Search for books and more at Smith and all Five Colleges. Search for items on Reserve in the Library. Note the call number and bring it to the service desk. Connect to library databases by title, subject, and type. 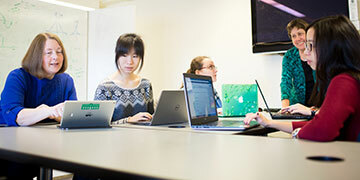 Search by title to find journals online and in print. Browse Five College collections including new books, movies and more. Access databases and research guides curated by subject, e.g. Biology, Social Work, etc. Smith College student and faculty scholarship including theses and honors projects.